Hello! 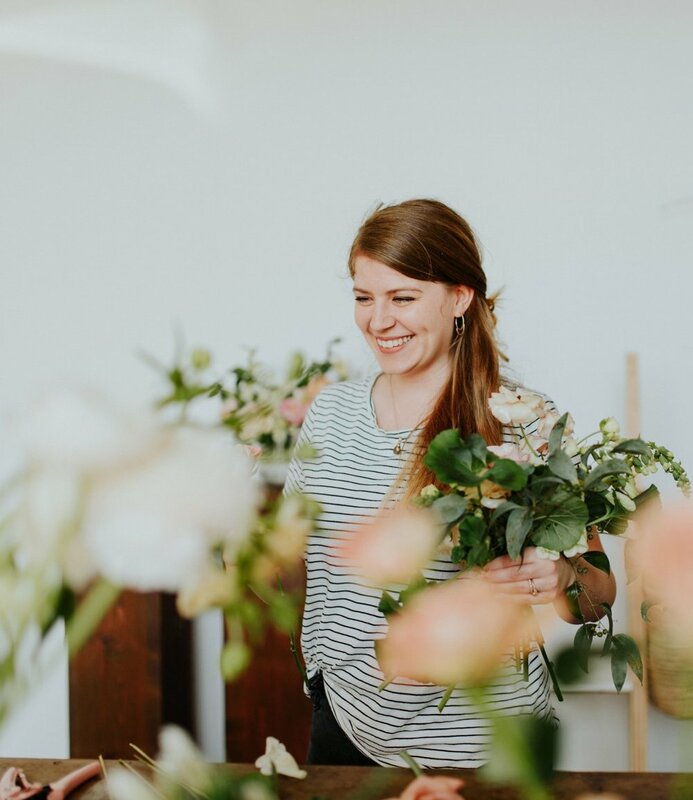 I am Callie Ingram, the person behind Bayly Blooms. Flowers and I have had a great relationship from the start. Actually, I am named after a flower, calla lily, which was my mom and dad's wedding flower. Truly, flowers have always been apart of me. I have been drawn to their effortless beauty, always showing up in the most unlikely places with so much color, life, and detail in each bloom. I absolutely love the paradox of cut flowers. They are strong enough to grow in nature wherever they are planted, mountainsides, roadsides, fields, gardens and they can survive through all that nature throws at them. But at the same time, they are completely delicate and so fragile to the touch. The same is true for love, it can survive and bloom anywhere but it is delicate, as are the hearts involved, and its fragile, always needing proper care. The soft strength of a bloom holds a million lessons and insights, that's why I choose to build art from flora. What better gift? What better way to translate a story? What better example of life and love than nature, than a flower?